Pamana, our Philippine Eagle, flies free on Independence Day - All Chucked Up! You may or may not know about it but one such happy ending happened just a couple of weeks ago. 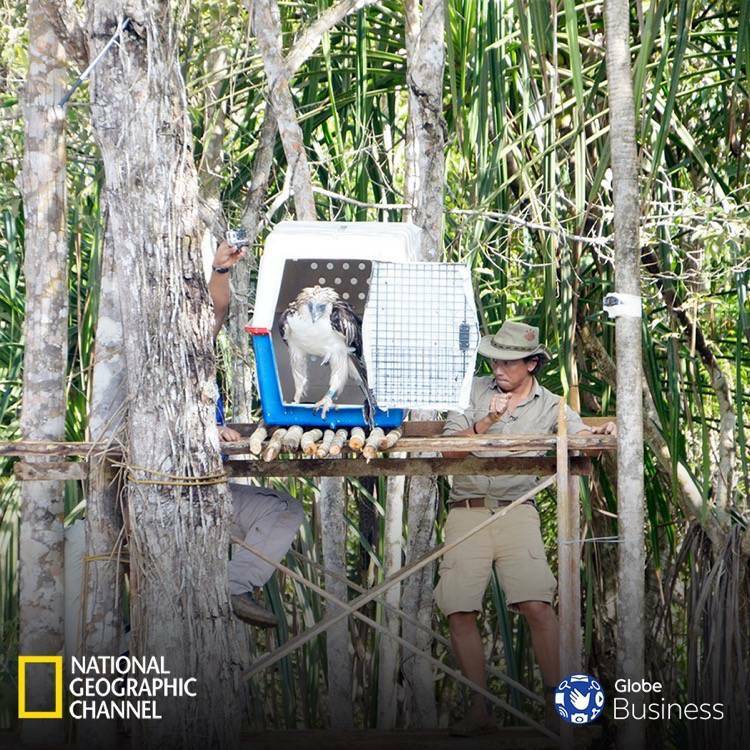 Stirring up the flame and spirit of national pride and environmental consciousness on Independence Day, rescued Philippine Eagle, Pamana, was returned to its natural habitat to finally fly free and live in the wild where she truly belongs. You see, Pamana was barely even a year old when she was found weak and docile from two gunshot wounds… deemed to have been a target of possible poaching. She was brought from Mt. Gabunan Range, Iligan City to the Philippine Eagle Foundation where she was given much needed treatment and rehabilitation. Now that Pamana is roughly three years old, this majestic eagle has grown to its full height and glory. 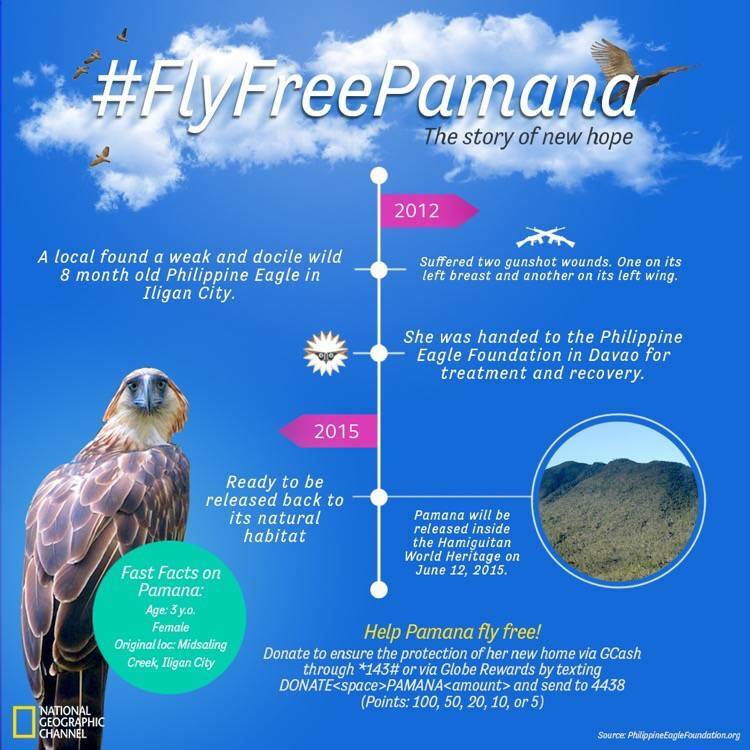 Pamana’s release is truly significant because it not only means that this beautiful bird ends a life in captivity and human dependence. Her survival and eventual breeding will also hopefully reduce the threat of extinction of this critically endangered species. It couldn’t have happened in a better time, too – Independence Day! During this momentous occasion, a fellow Filipino regained the basic right to freedom. No, not against tyranny… but the liberty to live and be free in the forest which is rightfully her home. 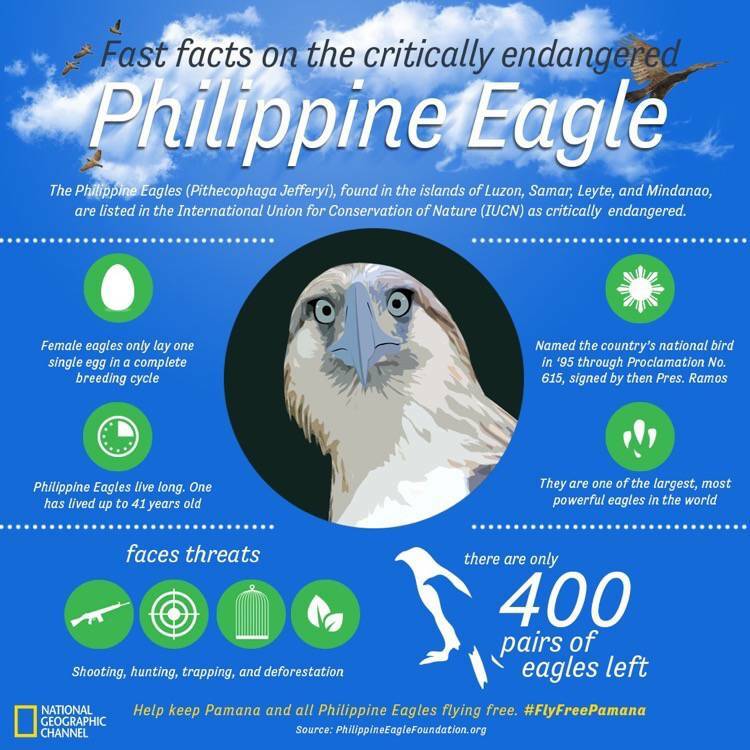 The Philippine Eagle Foundation Director for Research and Conservation, Jayson Ibanez, said, “A life of freedom is fundamental to the wellbeing of wildlife, too.” I couldn’t agree more. 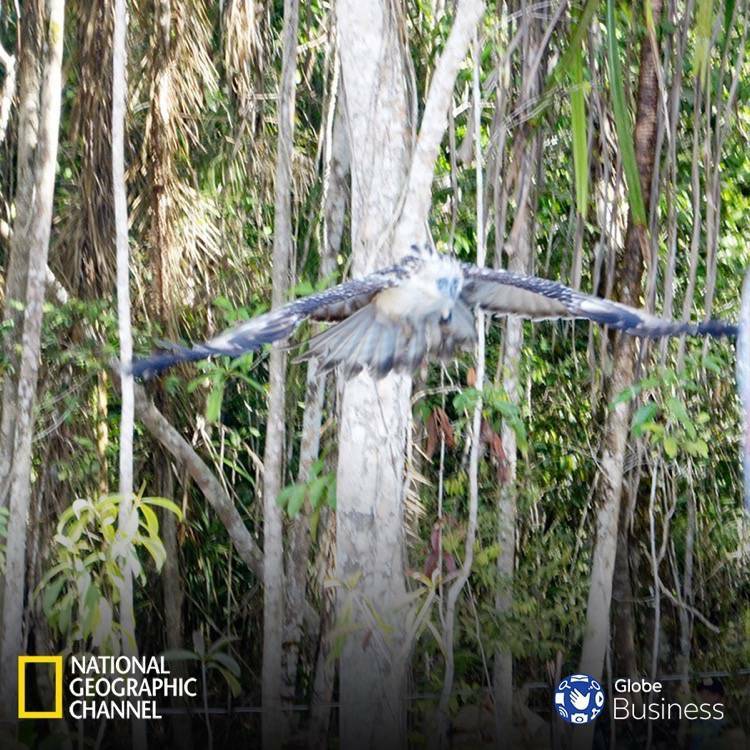 Also, it is no surprise that Globe Business, the ICT arm of number one mobile brand, Globe Telecom, who is committed to the sustainability and conservation of the country’s biodiversity, strongly supported Pamana’s release. Globe Senior Vice President for the Enterprise Group, Nikko Acosta said that Globe, being an ecologically-responsible company, takes pride in finding opportunities to show their genuine care for our country’s environment, not to mention the animals that thrive within them… hence their collaboration with the PEF. Globe also hopes to fire up the spirit of pride and environmental consciousness among Filipinos as Pamana takes flight on the most important day of our nationhood. 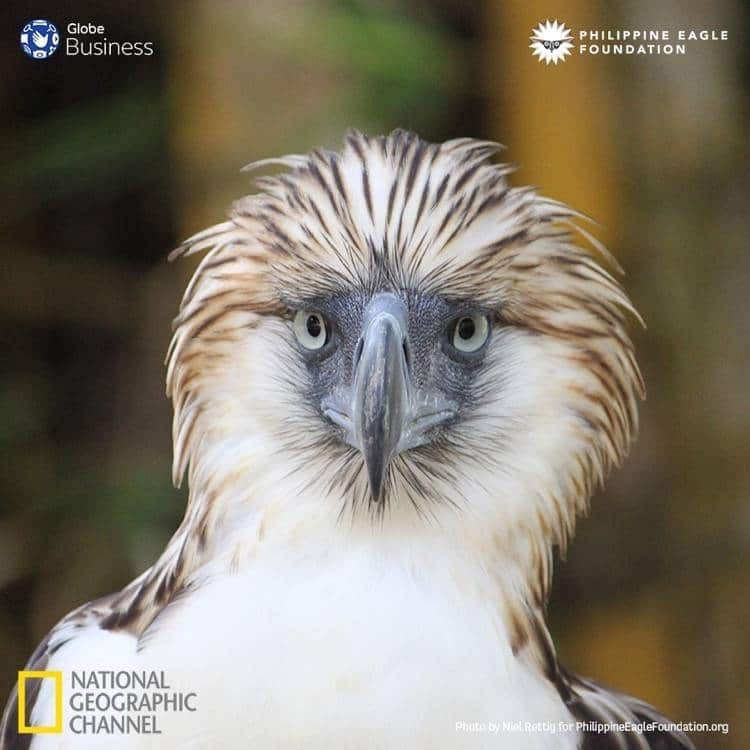 It’s great knowing that Globe Business will continue to support the Philippine Eagle Foundation through an additional Php 500,000.00 grant in the aforementioned areas of work, to ensure that more eagles like Pamana can be cared for and likewise set free in the wild. It’s astounding to learn that the total funding by Globe Business to PEF in their three-year partnership has already reached about Php 1.2 million. 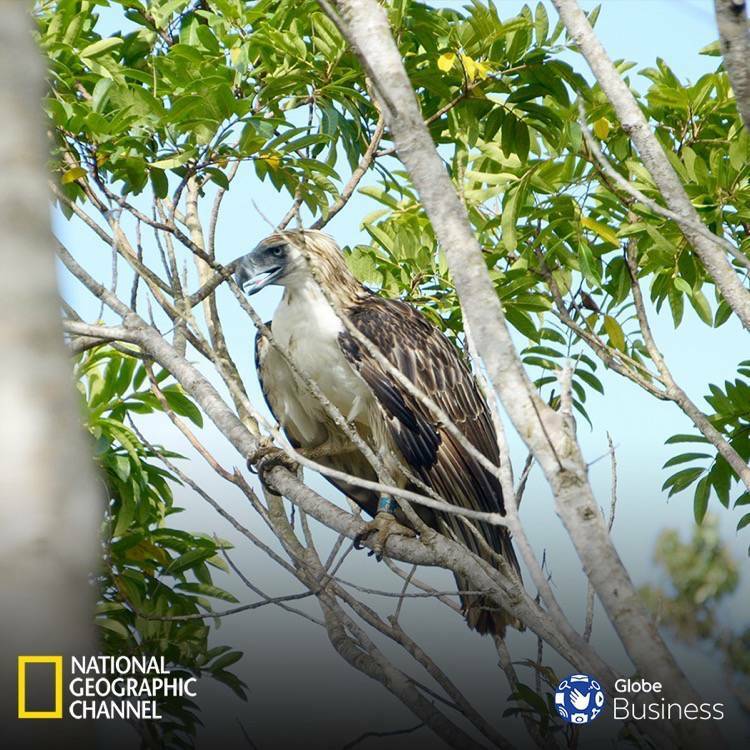 Dennis Salvador, Philippine Eagle Foundation Director expressed how very glad they are to have partnered with Globe Business in protecting the environment. Truly, by taking care of Pamana as well as their environs in Mindanao for three years, they have proven to everyone that it is indeed possible to have a synergy between the private sector and groups such as the Philippine Eagle Foundation for the higher good of our environment. In case you were wondering just how badly endangered the Philippine Eagle is… according to the PEF the Pithecophaga jefferyi, which is the scientific name of our Philippine Eagle, is listed in the International Union for Conservation of Nature as critically endangered, or facing severe habitat loss, an extreme fluctuating population, and the possibility of future generations not seeing them in the wild. It is truly sad to know that with a conservative estimate of only around 1,000 individual eagles remaining, the Philippine Eagle continues to face threats of shooting, hunting, trapping and deforestation which further lessens its already dwindling population. But thanks to Globe and the PEF, there is still hope to save Pamana and the other Philippine Eagles through rescue, rehabilitation and their eventual release back in the wild where they belong. Hopefully, happy endings such as this will eventually become more frequent. If you feel just as strongly as I do about caring for Pamana and our endangered eagles, you can do something to help. I encourage you to please support the advocacy of the Philippine Eagle Foundation through your donations coursed through Globe Rewards points of 100, 50, 20, 10 and 5 by texting DONATEPAMANA to 4438. You can also donate through GCash by dialing *143#, then selecting GCash in the menu (key-in “10” and press Send), select “More” in the menu (key in “10” and press Send), select “Donate” in the menu (key-in “3” and press Send), enter the amount to be donated, enter MPIN, select “More” in the menu (key-in “9” and press Send), then select “PEF” as the chosen charity (key-in “5” and press Send). Together, let’s become a source of happy endings and care for our few remaining Philippine Eagles. 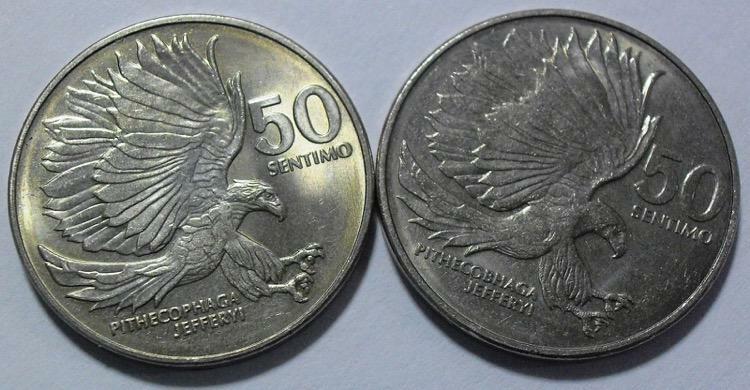 Did you know that the image of the Pithecophaga jefferyi was once found on the back of our old 1983 50-centavo coin? What made this truly special is that during its run, a series of this particular coin spelled the scientific name of our Philippine Eagle wrong. It’s true! Instead of its correct spelling of Pithecophaga, it was spelled as Pithecobhaga! ‹ Costa Coffee Eastwood – Get ready, Manila! London’s No.1 coffee chain is here! › Walker Madness at Digital Walker – The Great 2-Day Sale!